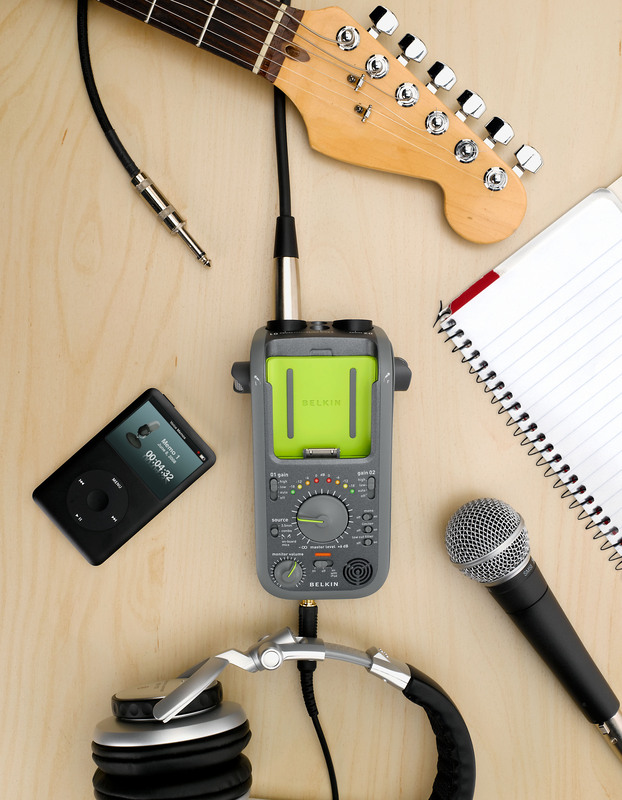 With Belkin’s new GoStudio, you can capture and record high-quality audio content, anywhere you go. Record full podcast episodes, interviews, lectures, music, or short clips directly onto your iPod and immediately upload your content to iTunes when your iPod is connected to your computer. Then you can add that audio to your blog, website, Facebook, or MySpace pages.